I’ve become a huge fan of Victor’s Bravesword series as I really enjoy the speed of the frame. The potential for increased swing speed means the racquet is fast in defence and attack – which is a great combination. The Bravesword 12 arrived in a smart red full length racquet cover with the racquet name clearly showing. It’s good quality too. The racquet looks good in grey, red, black and white, a nice combination which was updated from blue version which the Korean players prefer. Victor has a rating system for shaft flexibility and head weight. BS12 scores 3/5 for shaft flexibility which translates to medium performance and the same score for head weight which means even balance. 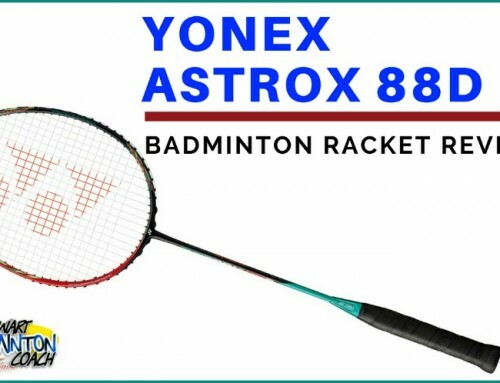 Weight is 3U (84-89g) and grip size is G4 which is equivalent to a Yonex G4 – standard size. All top-end Victor racquets arrive unstrung, so this particular model was strung by the retailer at 23lbs (their chosen tension for all demo rackets) in Victor VS850. The good news for players who enjoy higher tensions than this is that BS12 can be comfortably strung up to 28lbs. It would have been great to test at my preferred tension however that’s for another day. 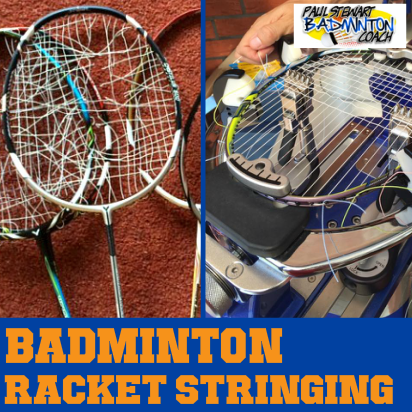 The great thing about even balance badminton racquets is that they tend to do many things very well. Covering this middle ground is very helpful for league and social players who want a great racquet, don’t want to pay top of the range pricing and delivers well in all areas of the court. This racquet certainly fits the bill but has more to offer. BS12 feels strong in delivery of overhead clear with the super-fast frame cutting through the air to delivery additional speed to the shot. This is one of those racquets where you feel you could play all day and not be fatigued. The shaft feels stiffer than LYD version although is rated more flexible and I guess this is due to the difference in the mass of the frame in the head. BS12 employs standard sizing of the frame in the head which really makes this a very fast and manoeuvrable racquet. With my preference for head heavy racquets I would always want this kind of speed and agility but with more beef. This racquet is especially good at hitting the clip drop shots from the rear court. The speed and feel of the head make these a delight to play and I can imagine a good player really enjoying the deception that is possible. All of the slice and reverse slice shots are so crisp. BS12 delivers a good powerful smash too so what it misses for me in the weight in the head, it makes up for with increased swing speed. Even with the smash, I really couldn’t feel the flex in the shaft like I could with LYD. With such a fast frame it was also a delight to enter into fast attacking rallies, punching nice and strong in midcourt to pressurise my opponents. This is something I like to do but with heavier headed racquets you really have to work hard. With BS12 this was so much easier. Having played with so many racquets, there is sometimes a trade off between speed of frame and power. In this case there isn’t but Bravesword racquets have a different feel in the hit. It’s almost like the difference between a karate chop and a punch. One is fast and effective and the other which delivers more mass of force. Both, when used correctly are extremely effective, however they feel different. Defensively this racquet was easy to use. 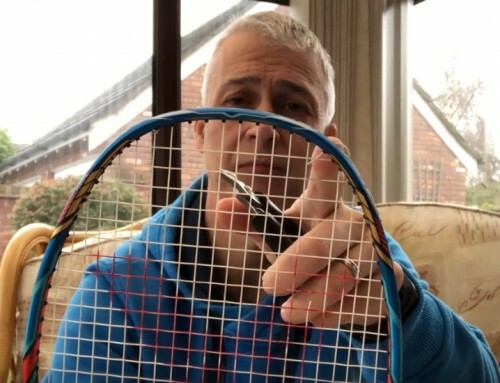 Again, the air resistance qualities of the head made the racquet very easy to manoeuvre, ensuring my defence remained tight and accurate at all times. Surprisingly there’s still plenty of punch with drive returns which sometimes is a weaker area for even balance racquets. 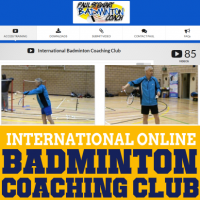 BS12 is very easy to use around the net and does not disappoint. Regardless of ability at the net, this racquet is going to help you improve. It’s quick and could almost let the racquet do the job for you. The slightest touch to a strong net kill is simply a delight with BS12. Without detracting from its capabilities in read and midcourt, this is racquet that any player with good net skills should check out. BS12 is an extremely good badminton racquet and I’m amazed how little I see this in clubs. This would be an ideal racquet for many club, league and tournament players because it has so much to offer in all areas of the court. Are there any niggles not mentioned so far? To be honest, the only question I have in mind is why Victor don’t offer more versions and possibly a stiffer and more head heavy version without the additional head mass (if it’s possible), or flexible for those players who need that little extra from the racquet. RRP on BS12 is £150.00 which places it close to the top-of-the-range price bracket. However, online retailers are selling in the region of £110-120 so the racquet represents excellent value for money. With this in mind I am rating this racquet 4 and a half stars. I believe it’s a treasure that should be seen in many players hands with the only possible downside being the feel of the it to players who are used to a slower, more “boxy” frame. For me, it was a delight which got me wondering how it would play with a bit more weight in the head. This time I added a strip at 10 and 2 o’clock positions but only on one side of the face. Again an improvement although there was a slight fall in speed for defence which I can live with. So I went the whole hog and placed the final strips on the other side of the face in the same 10 and 2 o’clock positions for balance. This racquet took on a completely different feel and yet was still fast. I really liked it and this test elevated the racquet into my top three. As a quick aside, it’s no secret that some players use lead weight tape to customise their racquets. Victor Powerizer is a great tool and inexpensive. I would certainly recommend testing this on your racquet before deciding to change it. 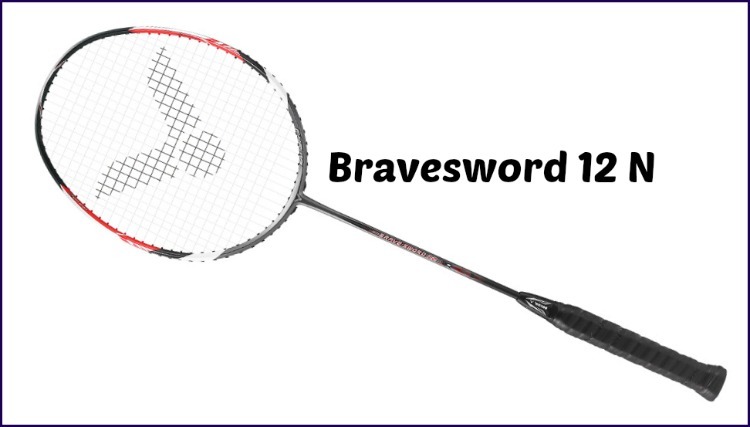 You may find you’ll save a fortune and completely transform your racquet – it certainly worked for me with Bravesword 12. Any stringing advice for BS12? BS12 is an old standard stringing pattern. I’m unsure what you really want to know. Hi Paul. I have a bs12 blue that i love so much but if i would like to buy another racket with everything same but slightly stiffer shaft, what you u recommend? I’m looking at bs11, LHI, TK7000s, TK6000, TK9000, MX JJS. i had a swing with an empty bs10 and 11 a few years ago n i prefer bs11 with less stiff shaft n slight head heavier feel. And is TK and MX JJS series have different feel compared to BS? i reli love the BS frame feel, perfect for my counter attacking skill of play. If you are looking for a stiffer BS12 then your options are BS11 or BSLHI. All of the other rackets are completely different feel as you would expect because a Bravesword is a very strong and aerodynamic frame. It’s great to read your review and it really provides a lot of information to me. 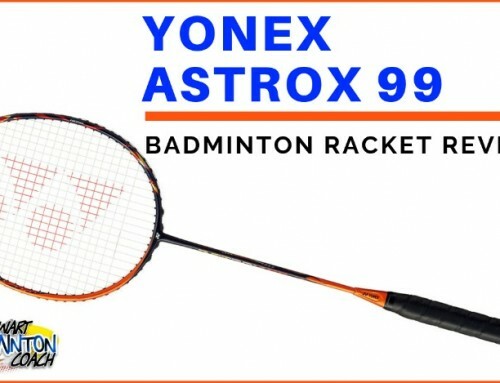 I would like to ask, I was using Nanospeed 9000X which is a even balance racquet, but recently broken so I m trying to decide whether to buy Victor BS12 or Yonex Arc11, can you please show me the difference of both this racquet? Like pros and cons? Thanks in advance, coach. I’ve responded to this recently in an email. BS12 is faster in attack and defence whilst Arc11 will have a more solid boxy feel in comparison. That said BS12 still packs a lot of power. BS12 can be strung tighter if that’s a concern. Also BS12 is medium flex against stiff in Arc 11. Thank you for your review. I bought the BS 12 very much based on your review. One thing about this racquet that may not be immediately apparent is that the “diamond” shaped frame is prone to chip. I only used my racquet on 3 or 4 occasions and there are already 4 chips around the frame. I would like to know the difference between the 3U and 4U version of this racket. I understand that singles players prefer 3U as opposed to doubles players; preferring the lighter 4U versions because of speed and what not. Rumour says that 3U rackets wields more power while the lighter counter part is specializes in speed. While these are just rumours I would appreciate it if you could share your experiences with the difference in weight category and what should I expect to sacrifice and gain with getting a 4U racket as opposed to the 3U. Will I REALLY be sacrificing “power” in my smashes if I were to use the 4U racket. Intermediate player, prefers singles however still really enjoy doubles. Playing style :Attacking thinker, prefers playing front in doubles. Well rounded player however needs improvement with smashes. Note: recovering from shoulder surgery. 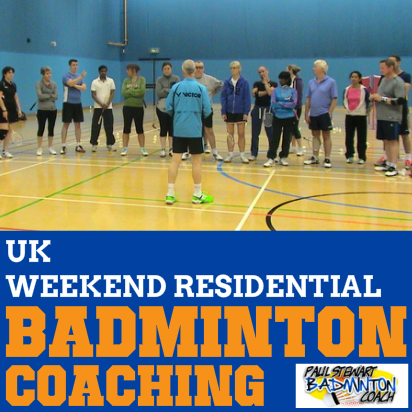 In UK and Europe there is generally only one version of each racket, unlike Asia. 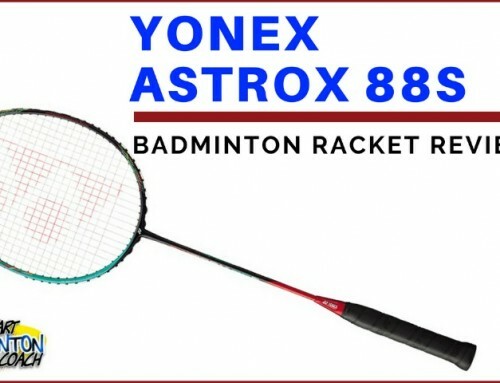 Therefore the racket I tested and reviewed is the only version available to me. If it’s any consolation, having just strung numerous Bravesword 12 rackets at All Englands for both Chinese Taipei and Korean players I would comment that they were all 3U. Only grip sizes differed. BS12 is a very fast and powerful racket and I would suggest that due to the speed a 4U version is really not worth wasting your time on. The racket is so quick I really can’t see you gaining any advantage in using it unless your game is based on defence. The ability to defend well and still hit hard makes this one of the most versatile rackets available today. Because it’s so fast and even balance, some players may already consider it is too light as it is, never mind reducing the power again by introducing a 4U. So the idea singles players prefer 3U and doubles 4U is not quite true but it could be there are some players close to you purchase by this method. Generally i would only consider a 4U version on a head heavy racket such as Thruster whereby the reduced weight provides the best of both worlds creating a light, fast and yet powerful racket that swings well. Personally I would go with 3U and I’m sure you will find the racket perfectly capable of handling anything you wish to throw at it. Is there anywhere you can still get the blue version in the uk?? Sorry to say you will struggle unless you see one secondhand. I have recently switched from Yonex to Victor, do you know where I can get Powerizer’s in the UK as I would like to try them on BS12? If you are in North West, then BWS Sports near Bury stock it. 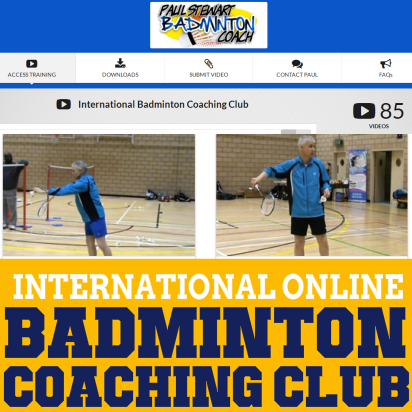 Your best bet is to contact Badmintonbase.co.uk and ask Ben to ship it to you. They cost around £5. I think they’re brilliant. How do u think of your rated 5-star BS 10 and BS12? Is there any difference between their head weight? stiffness? which one is more stiffer? which one is more head heavier? which one is more faster in terms of handling speed? also, is there any slightly timing differences between these two during defending? I tested and reviewed BS10 over two years ago so it’s impossible for me to do a side by side comparision. But from memory BS10 was stiffer. 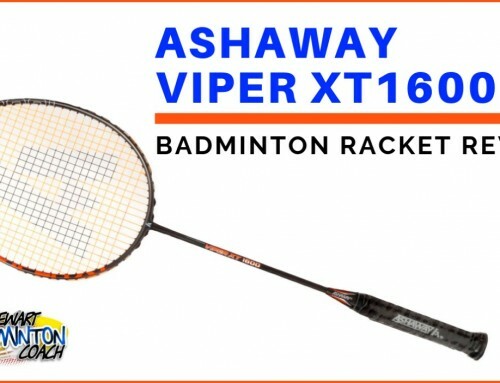 I honestly cannot remember the feel of the head after so long or the specs of the racket. Sounds like a great racquet Paul. Now that you’re working with Victor, will you have any Victor tester racquets at your Lilleshall courses? I begin working with Victor from 1 September. However, I was able to write this review because the retailer I work with wanted me to. Of course my website belongs to me and not Yonex or Victor so I am allowed to review any product I like. I will have Victor demo rackets with me at Lilleshall although can’t say how many at the moment. Have u test the BS12L? What are the differences between BS12 and BS12L? Is it fair to say that the differences between these two, is just the ‘weight’? I haven’t trsted BS12 Light although I’ve had it in my hand. BS12 L has a smaller grip and therefore it has a completely different feel and look compared to BS12. It’s a lovely racket and hopefully I will be reviewing it but cannot advise when. BS12 L is not available in Europe yet and I have no idea when the first batch will arrive. I’m newly signed up, but a long time reader and want to thank you for all your articles. They are great and help me to learn more about the game. Thanks for this review! I wanted to ask, other than the colour, are there any differences at all between the current version of the racquet you reviewed, and the version with the other blue colour scheme you referred to? No the two rackets are identical. For some reason Victor decided to change the colour. But the Korean players prefer the blue so the racket is made specially for them in their chosen colours. I’m heavily considering getting this racquet for the next season. That being said, I’m also considering the Voltric 70. My play style involves a lot of counter-punching and defense and I’ve been using my trusty Nanospeed 100 for about 18 months now(which I bought because of your review when I was a total beginner) and I feel like that it has lived its purpose for helping me learn all the basics. Recently, I’ve been needing a little bit of help in the smash department but even though I can generate a good swing speed, I can’t seem to get the shuttle in the places I want it to be. So without the price in factor, which one would you recommend? And will the Brave Sword 12 be also suitable for singles play? Thanks a lot coach for all your help and all your reviews! Any racket is suitable for singles, it just depends on the player and their personal preferences. At the moment you are using a Nanospeed which is deemed a head light racket. Moving from head light to head heavy may be asking a lot although it’s been done before. Therefore you may find BS12 will feel better than VY70. Bottom line here it’s all about personal choice so I can’t advise you which to buy. Both are very good rackets.